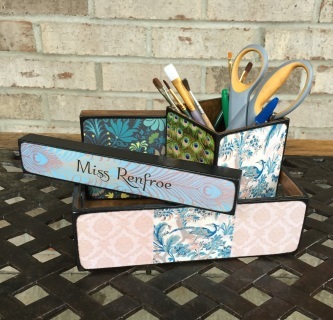 This desk set is sure to spruce up and organize your space! You can take down those photo's frames and replace it with this durable and functional desk set! I build, sand, stain, and seal these so they are ready for your design work. These will go through a 4 day coating process. I will send you pictures thorough the whole process so i know you love it before I mail it to you. This is perfect for ALL ages! My favorite is the College Dorm Room! It brings a piece of home to their room and provides a little comfort! You can personalize the Tray and Pencil Holder with photo's, names, poetry, quotes or anything else you want to add. You can add any names or wording on the Name Plate or you can choose an ornament option to personalize 5 sides instead of the name plate. 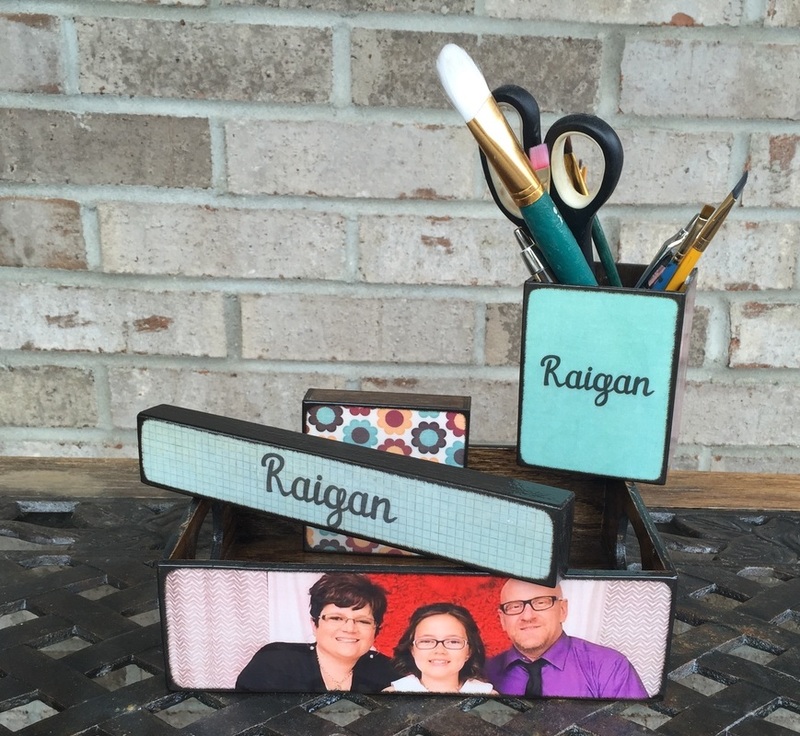 You can add photo's, names, quotes, dates or anything else you want to see on your desk set. 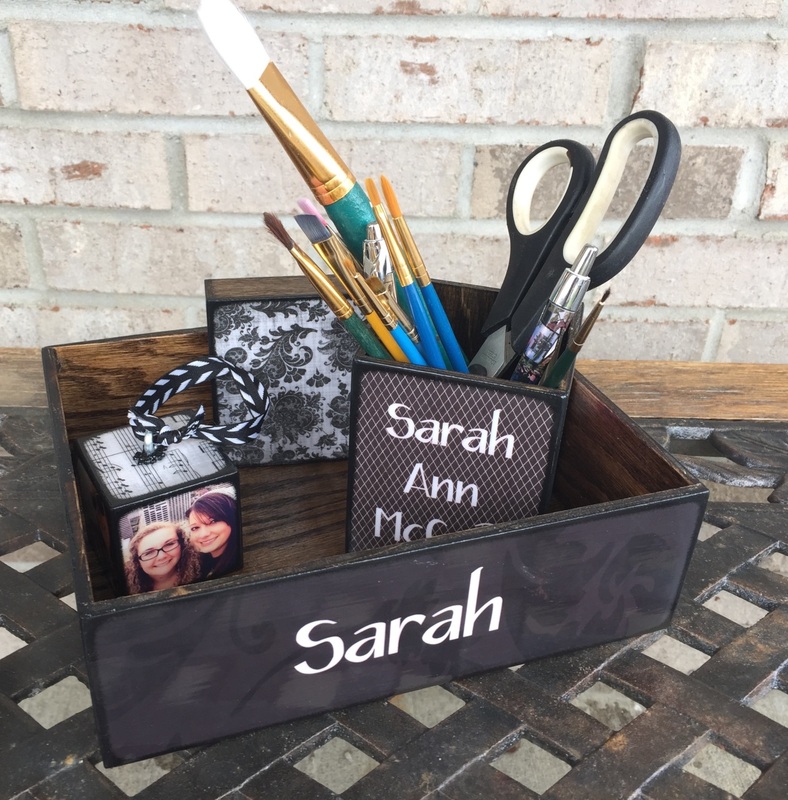 You can personalize the front and back of the tray, 4 sides on the pencil box and both sides on the name plate. You can add photo's, names, quotes, dates or anything else you want to see on your desk set. You can personalize the front and back of the tray, 4 sides on the pencil box and 5 sides on the ornament.